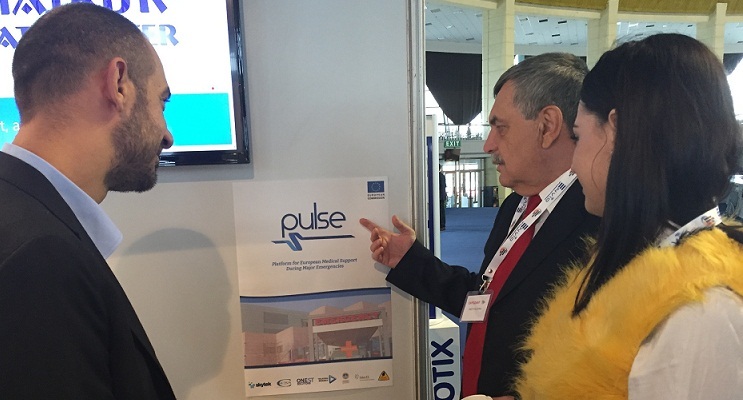 Viorel Petcu and Mihai Palfi, Onest Solutions – Romania, presented PULSE at the 4th edition of the Romanian Security Fair held at ROMEXPO Exhibitions and Conference Center, Bucharest, Romania on 20-22 October 2016 (http://www.romaniansecurityfair.eu/en/ ). PULSE was presented to participants and visitors at the ONEST Solutions stand. ROMANIAN SECURITY FAIR – the biennial international exhibition of security services and technique – is the main international discussion platform for companies serving the Romanian security industry and abroad. It represents a unique opportunity to benefit from the results of research and technological innovation and intensify contacts with the providers and consumers, and provides real chances for international development. The fourth edition of ROMANIAN SECURITY FAIR was organized by ROMANIAN ASSOCIATION FOR SECURITY TECHNIQUE in partnership with ROMEXPO SA. PULSE was also presented into an article published into the Alarma Magazine – in a special edition dedicated to the Romanian Security Fair.